I want to start things off by apologizing for not posting my breakdown of week 5 in college football. However, I may of been a bit upset over the Virginia Tech loss and needed to take a slight step back from football. I mean I was fully expecting my Hokies to have a tough game against Clemson but still doesn’t make it any easier to watch. Especially thinking about how that win could of catapulted the program. However, the season marches on, I know the Hokies will, and so should I. I have wept enough tears into my beer. Week 6 has some interesting match ups. Yes, when looking at the list of games for Saturday I am sure people are like, “But Jonathan, where are the top 25 match-ups!” To that I say games don’t have to have to be a top 25 game to crack open a cold one, eat some snacks, and enjoy yourself. So that being said here are the games will be enjoying a few high calorie snacks to. This will hurt me saying this but Virginia is looking pretty good. Their game two weeksago against Boise State was eye opening. They didn’t just win a tough road game, they demolished Boise State on their home Smurf Turf. Hoping Virginia can keep this up and maybe get some surprise wins in the ACC. Duke also will be entering this game needing a win to not fall back too far in the ACC standings. This will be a fun one. Duke let me down last week so I think they might lose again this week to a UVA squad that is trying to prove to others that the Boise State game was not a fluke. Ok, I am going keep this one very short; Saquon Barkley. Northwestern plays teams rough but I have Penn State winning out. Florida State needs another win. They just barely made it past Wake Forest. A win against Miami could really salvage the season for the Seminoles. Jimbo Fisher has an excellent record against the Hurricanes. I mean undefeated since 2010 isn’t too bad. I would love to see that streak continue. The game for the Paul Bunyan Trophy is great one. How awesome is it that the winner gets a trophy of Paul Bunyan? However, I don’t think we will see any crazy finishes to this game. 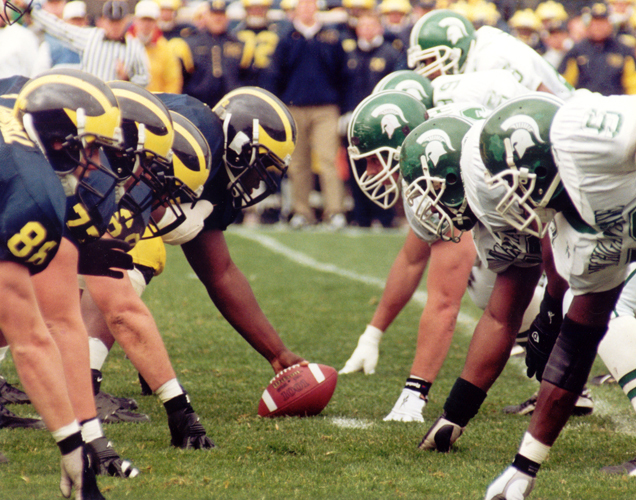 I feel Michigan will be winning this one but I don’t think it will be a blow out. This game will hopefully erase the pain of last week. Virginia Tech needs this win to stay in the top 25 and to get things back on track so that they can win out the Coastal Division. To do so, they need to stay on pace with Miami and Georgia Tech. Boston College has a tough defense and wants to avoid going 0-3 in the ACC, so they will be hungry to get the upset. 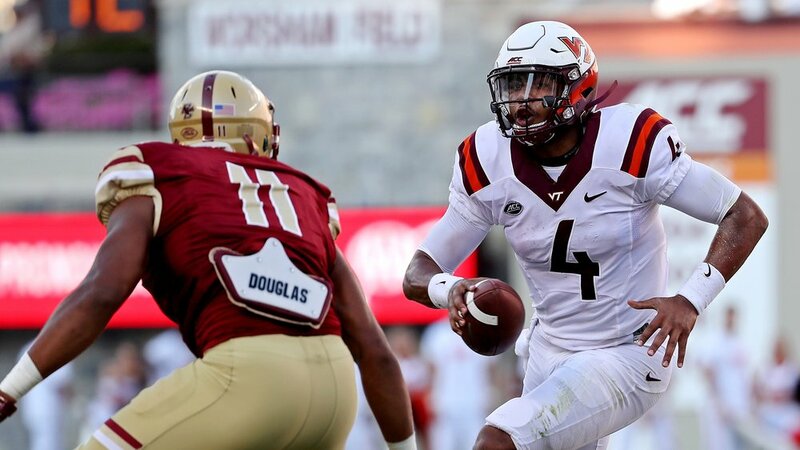 Virginia Tech wants to be back in the ACC Championship again and it starts by winning this week. And those are my picks for Week 6! Stay tuned for more college football picks from me throughout the season. Mike sits down with Imam Sherif Abdalla Shehata of the Islamic Center of Stafford to discuss the Islamic faith and what it means to be a Muslim. Mike interviews chef and GM of Gourmeltz, Erik Meyer. On this second episode of The Liner Notes, Tamika talks about the music of Ms. Aretha Franklin, The Queen of Soul. Aretha was a great singer, songwriter, pianist, and actress. May she rest in paradise. On this episode, Tamika introuduces her mother, Terri, to the world of podcasting. The ladies talk about Washington Redskins training camp, upcoming preseason game, and thoughts on the regular season.